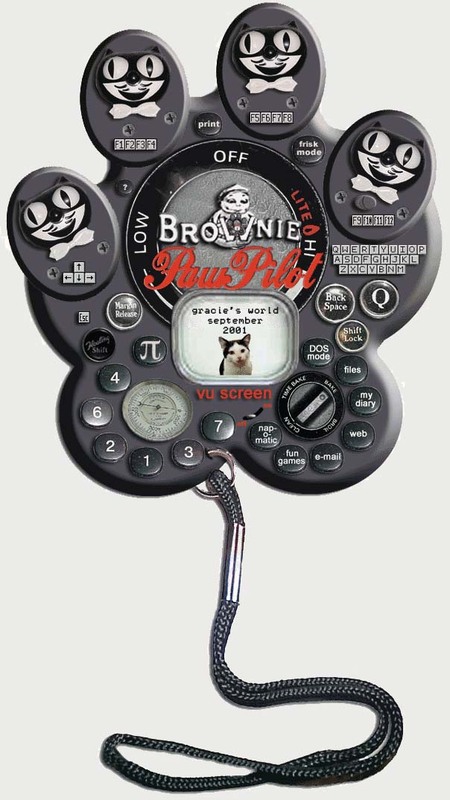 Brownie PawPilot Millenium Edition. Equipped with Frisk Mode and Nap-o-Matic. Later Replaced by the PawPilot DeClaw 2003, the last of the PawPilot line. While feature-rich and popular with small young cats, the Brownie PawPilot proved particularly vulnerable to roundworm attacks. It also did not tend to be robust in foam chick environments.